What? Google Scrapping Nexus For Premium Android Silver handsets? I do not like this news, I really don’t! Multiple sources are claiming that Google Nexus phones will soon be replaced by premium Android Silver handsets. Before, I go into detail, let me clarify that there is no official confirmation or denial from Google on this. I have personally been a Nexus user for over 2 years now, and have never been as more satisfied with my mobile purchase. The Nexus’ literally have everything what most smartphone users need. High end hardware, regularly updated OS and brand “Google” behind it. What’s more they cost much lesser than any other flagship phones as well. Now, talking about the Silver program itself; the reports suggest that current Nexus-branded handsets that come with pure Android user experience will be scrapped, and will be replaced by a set of premium Android Silver phones that will closely adhere to it. From what we understand, it is not as much about the hardware as much as it is about the software. These premium Android Silver phones will cleanup all the third-party bloatware, will have prompt and reliable software updates and introduce a real standard and consistent user experience. In short, Android Silver aims at becoming what iOS is, where everything is consistent, well polished and buttery smooth. The move is probably aimed at users who are still not jumping the iPhone ship due to so-called complex and open nature of Android. 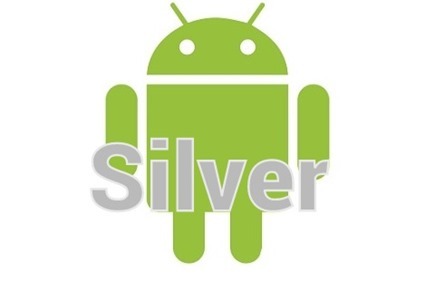 While the Android Silver program will not keep anything closed, it is expected that it will have softwares and apps that are tested and verified by Google team (most of which will be developed by Google themselves). The report also says that Google is rumored to be spending as much as USD 1 billion to get phone manufacturers to jump aboard the “Android Silver” Ship! It is quite clear that Android Silver is targeted the high-end users, who want iPhone-ish like buttery smooth experience on their smartphones. But the big question is, what happens to those millions of users (like me), who want want Nexus phones that are priced at mid-range and yet offer high end phone experience? Here is a request to Google – Please do not scrap Nexus, you can probably run your “Premium Android Silver” program parallel to it..